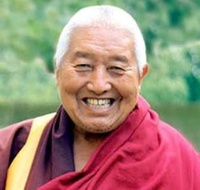 Teachings from the Dzogchen cycle the ‘Three Proclamations of the Word’. This is one of the four main cycles of great perfection teaching. It that has been taught by the Buddha Tonpa Shenrab, hidden as treasure by Nyachen Lishu Tagring, and rediscovered vy Zhoton Ngodrub Dragpa. 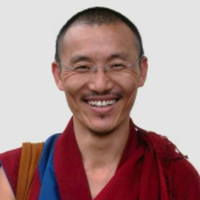 This cycle is contains advanced and lucid explanations on Dzogchen practice.